TopCashBack: Earn Cash Back When Shopping Online! Today I wanted to share a great way to save some money while shopping online! While I'm not usually a "deal" blogger, I do like to share an awesome deal when I find one! Last week, a friend told me about TopCashBack and already, I've earned a pretty good chunk of cash to put add to our Christmas savings plan! All while making purchases I would be making anyway! This morning, I spotted a great deal using TopCashBack. Get paid to buy Gain Fabric Softener Sheets! I scored my free fabric softener sheets (plus overage) this morning and here's how you can, too! They will send you an email to authenticate your account. Once you authenticate your TopCashBack account, you can start shopping! For this deal, log in to your TopCashBack account. Click on the cash back button, you will then see 2 offers. One for standard cash back for regular Walmart.com orders, the other for the Gain Dryer Sheets offer. Click on the Dryer Sheets offer, you will then be directed to the Walmart.com site. Search for the dryer sheets that are specified in the offer and add to your cart. When checking out, be sure to use in-store pick up. Also, when checking out, be sure to ONLY purchase the deal item to receive the $5.50 in your TopCashBack account! The Dryer Sheets in the offer are $4.88 plus tax. My total order after tax was $5.17 with the cash back to be rebated to my TopCashBack account being $5.50! So, it's like getting paid 33 cents for Gain Dryer Sheets! Hurry, since this deal ends in three days, or when supplies run out! Also...once you join and make your purchase using the link above, I will receive a referral credit! You can also invite friends after you open your account and start getting referrals! Now that the snow is almost all melted -I can see more than half of my lawn- it's time that I start thinking about shedding some layers of clothing. Soon, there will be no need for sweatshirts over long sleeves over undershirts. Soon, it will be time to pack away the long pants. Soon, the weather will be warm enough for short sleeves, capri pants, maybe even shorts. And for the brave, bathing suits! Gasp! For some of us...ahem, me...shedding of the layers will also mean working on shedding some pounds. I really took to comfort eating during our colder-than-usual winter, and will need all the help I can get in losing the weight in order to feel confident in my warm weather clothing! When I am dieting, I'm never content with a baggie of celery sticks for lunch. For me, that's the quickest way to send me off the wagon right into a bag of chips or other junk food! When I'm dieting, I like to find low-calorie options for the foods I love. Finding other alternatives for the food I enjoy, helps keep me from feeling deprived. Helps keep me on the right track to achieve my weight loss goals. 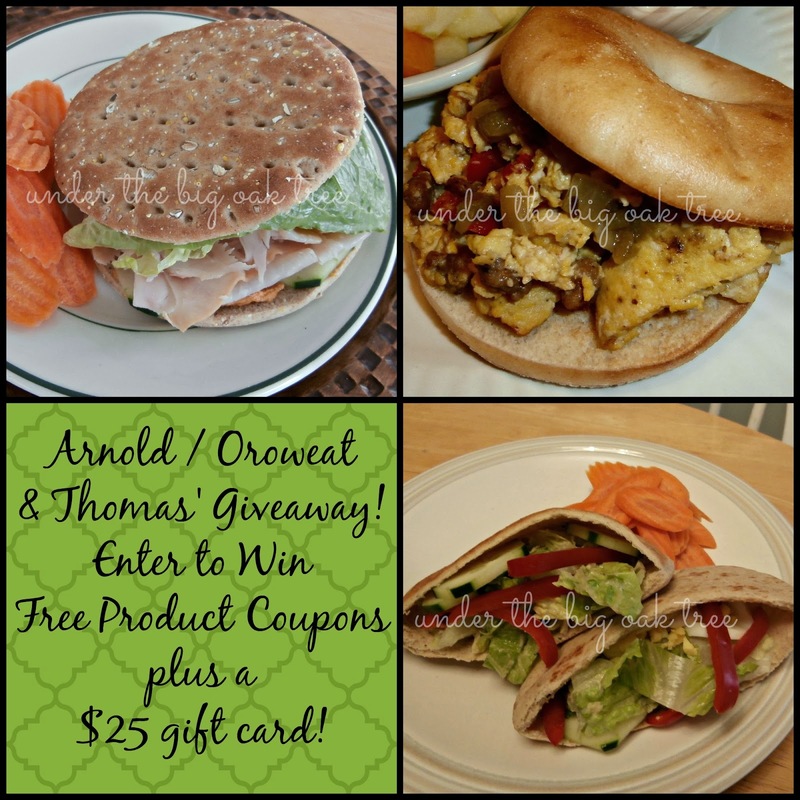 Arnold and Oroweat, along with Thomas' offer some great low-calorie bread options that are Weight Watchers approved! All Arnold® and Oroweat® Sandwich Thins® Rolls are cholesterol-free foods, containing zero grams of Trans Fat and no high fructose corn syrup. I had the opportunity to try three of the breads from the product lines listed above. For my review, I picked the Healthy Multi-grain Sandwich Thins Rolls, Italian Herb Pocket Thins Flatbread, and the Plain Thomas' Bagel Thins Bagels. Our usual sandwich bread checks in at 80 calories a slice! I don't know about you, but for me, one slice of bread isn't enough to make a filling sandwich! I love that I can create a hearty sandwich with these great products, only using a small portion of my daily calories for bread! Saving 50 to 60 calories on the bread alone! 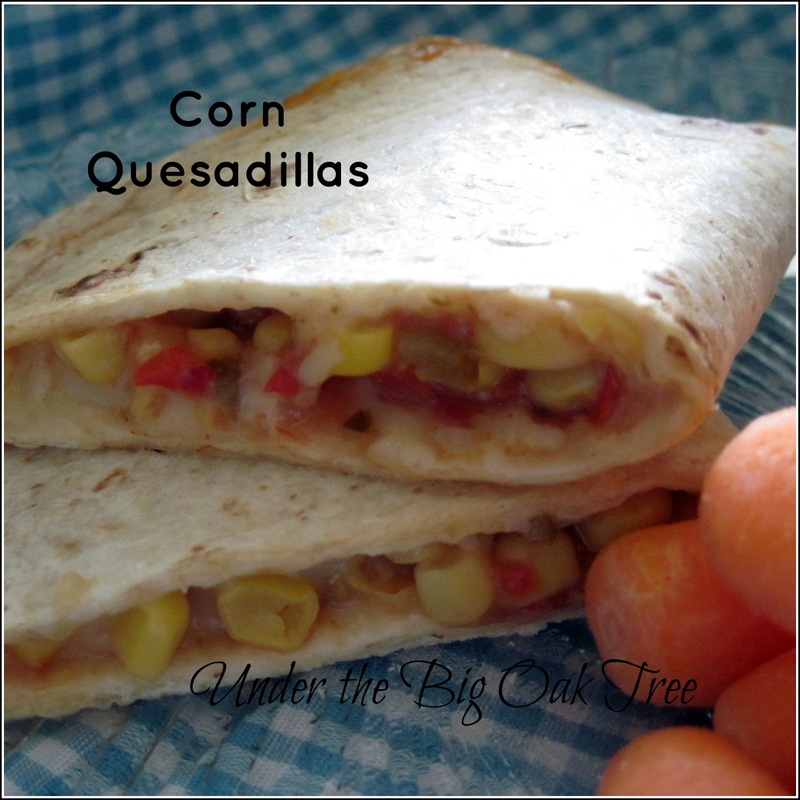 This allows me to create a guilt-free lunch, when using other calorie friendly fillings! 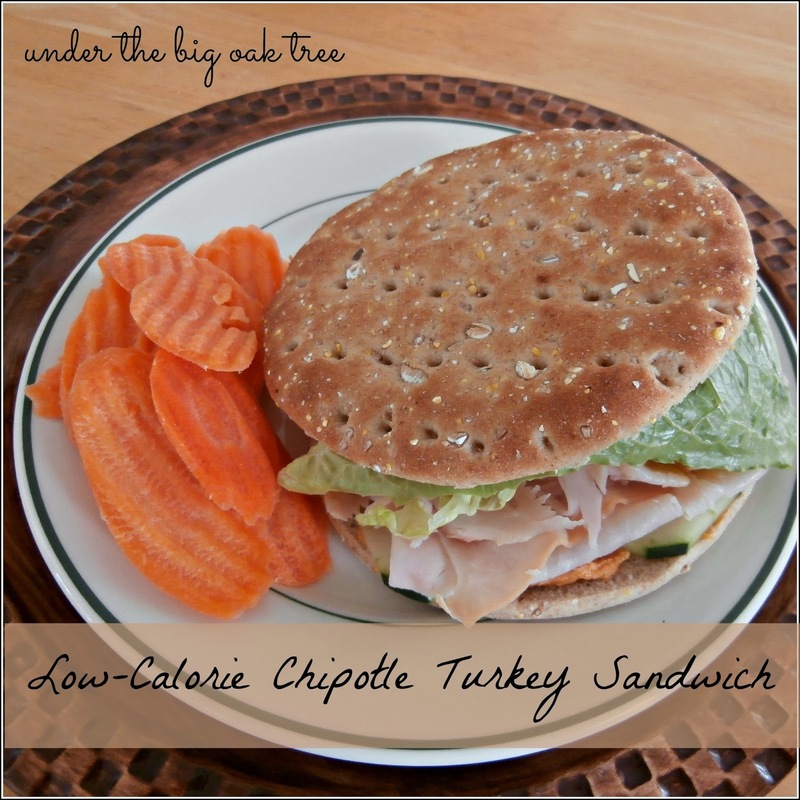 Using the Sandwich Thins, I made delicious Low-Calorie Chipotle Turkey Sandwich for under 217 calories! While I enjoyed this sandwich in the comfort of my own home, this would be great for on the go! 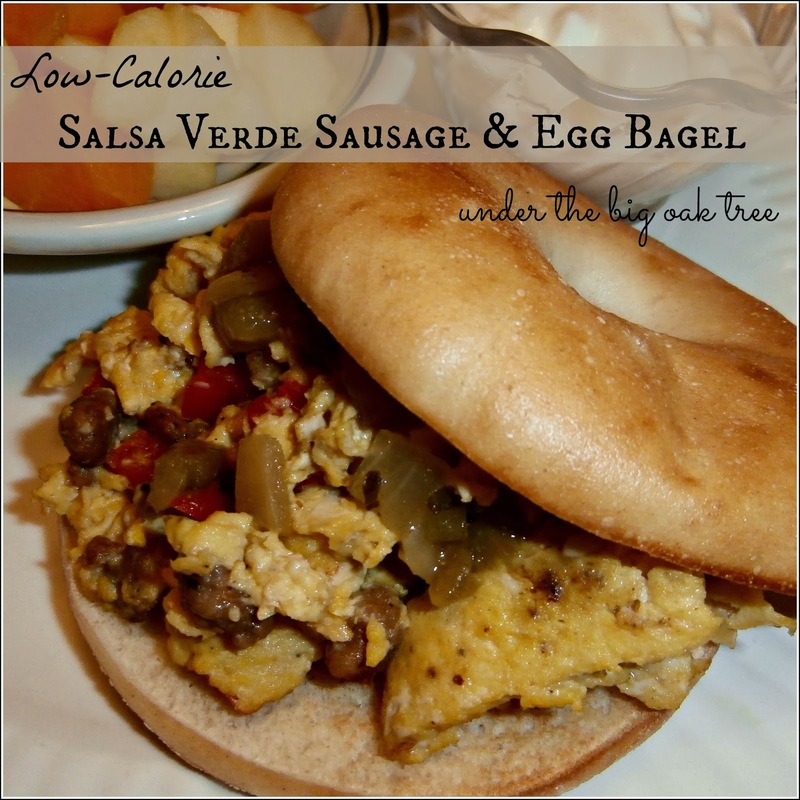 For breakfast, I made some yummy Salsa Verde Sausage and Egg breakfast sandwiches with the Bagel Thins. At 371 calories, the calorie count on this was a bit higher, but still way under the count for similar sandwiches from the convenience store! 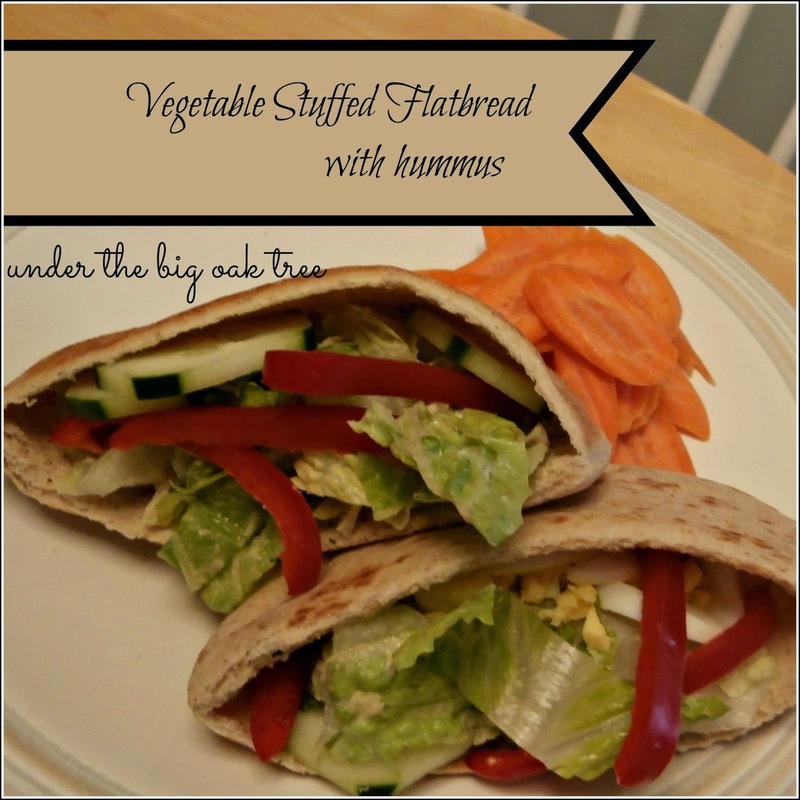 My favorite was the Vegetable Stuffed Flatbread with hummus using the Pocket Thins (recipe link to post soon). For 213 calories, including the carrots I ate on the side, I ate a crunchy, vegetable sandwich that was so satisfying and delicious. 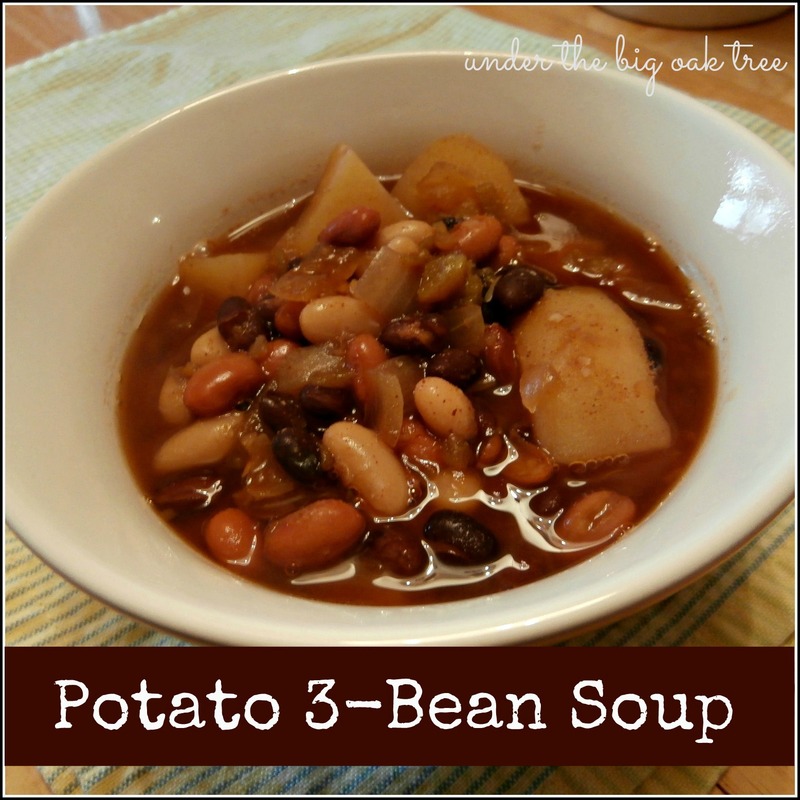 This is definitely a lighter meal, so if you are really hungry, pair this with a small cup of soup for a more filling meal. *note: the photo above is two servings. Disclosure: Although, I received coupons for free product to facilitate my review, in addition to a gift card to purchase additional recipe ingredients, all opinions are honest and my own. Additional coupons and gift card are also provided for the giveaway. Check out my giveaway for free product coupons and a $25 gift card! Low-Calorie doesn't mean it needs to be boring! I love finding new ways to cut calories while enjoying the foods I love. 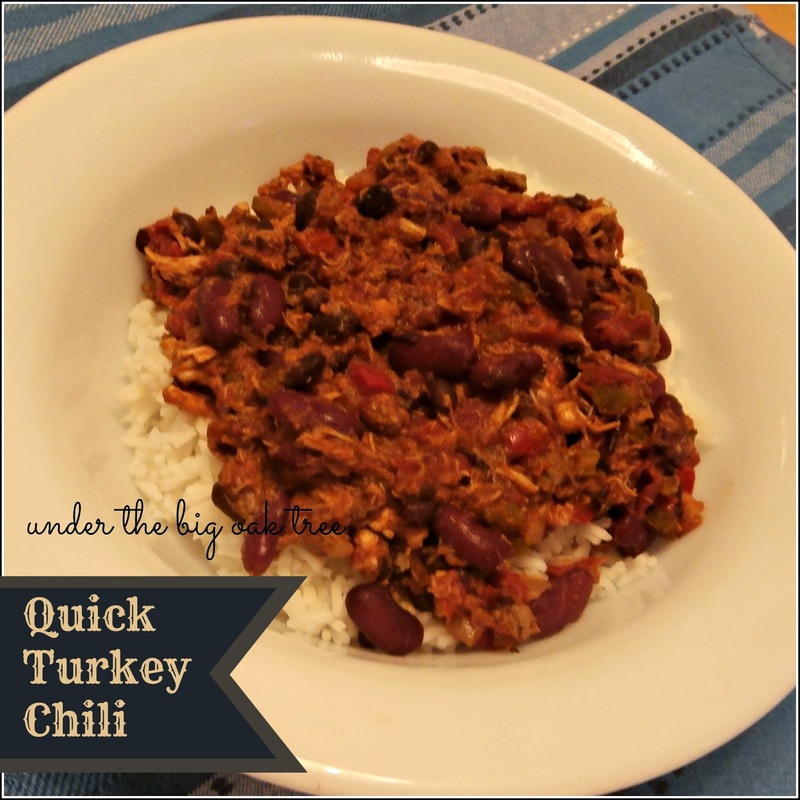 In this case, a few simple changes saved me a ton of calories without skimping on the flavor! For this sandwich, I swapped out my usual mayo for some Chipotle Hummus. That swap alone saved me 60 calories! Using a sandwich thin, in place of traditional sandwich bread eliminated another 60 calories! I enjoyed my sandwich with a side of carrots instead of chips. The crunchy, chip-like shape of the carrots helped me to feel as if I was snacking on chips as I ate my sandwich. Spread chipotle hummus on one half of the Arnold Sandwich Thins, Healthy Multi-grain roll. Place cucumbers on top of the hummus, this helps hold the cucumbers on the sandwich as you eat it. Finish building the sandwich by layering the turkey, lettuce and top of the bun. Serve with sliced carrots in place of chips. A slice of cheese would be delicious with this sandwich, but I was wanting to keep the calories low so I skipped the cheese. Any flavor hummus would work well with this sandwich, I love the smokey chipotle flavor with my turkey. 217 calories, including the carrot chips served on the side! *Calorie count is approximate and may not be accurate. During this long and brutal winter, I've really been packing on the pounds starting with the holidays and all of the sweets, then comfort food during all of the bitter snow storms. Now, it is March and hopefully warmer days are in the near future. In fact, we "spring ahead" this weekend, which means Spring is on it's way...then summer! I will no longer be able to hide my weight gain under bulky sweaters and baggy sweat pants. Which means, I really need to get back on track and eat healthy meals and cut out the junk food. Cook peppers in hot oil until almost tender. Stir in pre-cooked sausage crumbles. Allow to cook until peppers are done. Scramble eggs in a bowl with milk. Pour eggs into the pan with the sausage and peppers, stirring and scraping bottom of pan. Divide the sausage and egg mixture between 4 of the bagels, toasted if desired. Top each with a tablespoon of Salsa Verde. 371 calories may not seem very low, but considering that a similar sandwich runs close to 500 calories at a local convenience store, I think 371 is pretty good! 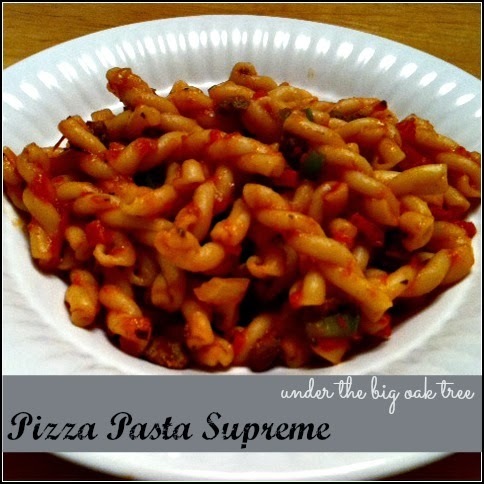 Supreme Pizza has always been a pizza night favorite! Lots of peppers, onions, pepperoni and sausage on delicious crust. Mmm! So good! Inspired by my craving for pizza delivery, I decided to throw together a quick meal using the flavors of a supreme pizza! 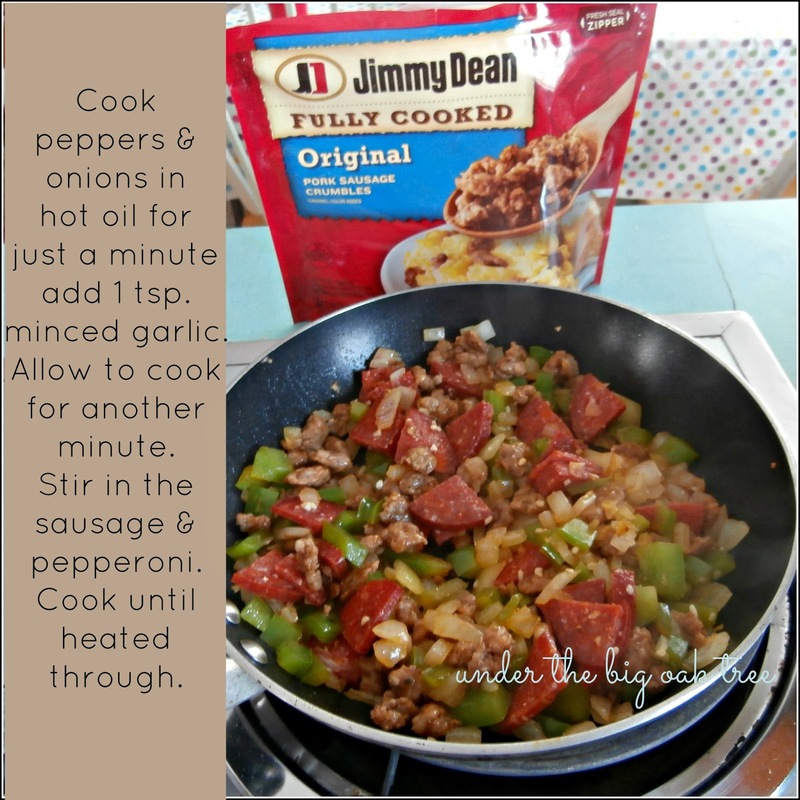 The Jimmy Dean Crumbles really helped this recipe come together quickly. 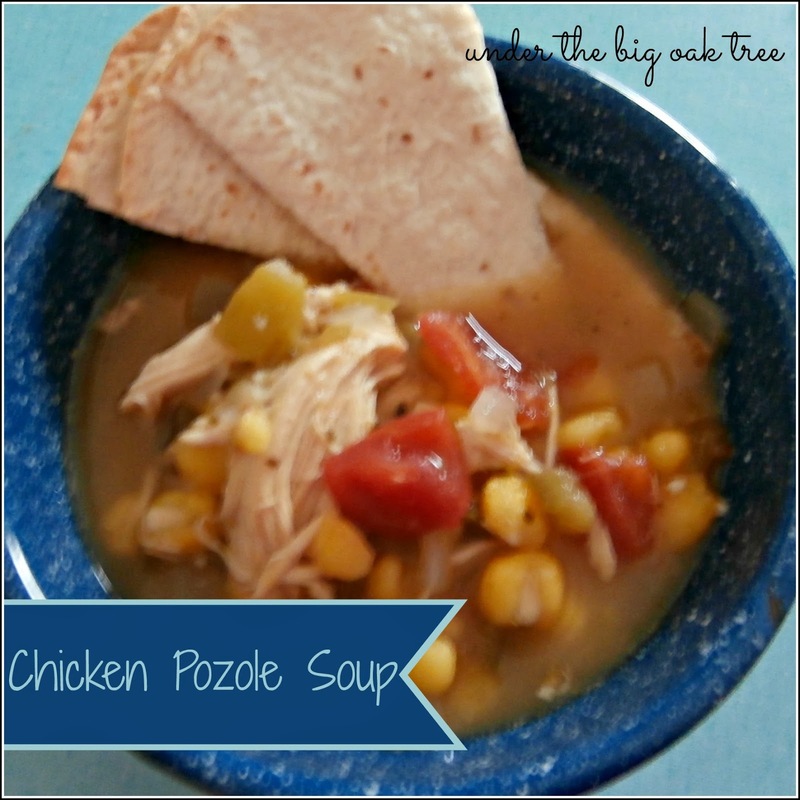 I had this dinner on the table quicker than I could have ever gotten a pizza delivered! Heat oil in pan, add onion and green pepper. Cook until tender, stirring often. Add garlic, pepperoni and #JDCrumbles. Stir to combine and heat through. Pour in desired amount of pizza sauce. Cook for 5 minutes, stirring often. When pasta is done cooking, drain. Pour into serving bowl and mix with pizza sauce mixture. This was a very delicious and simple meal to prepare. I love keeping a package of Jimmy Dean Crumbles in my fridge for nights I need to throw something together really quick. #spon: I'm required to disclose a relationship between our site and Jimmy Dean. This could include Jimmy Dean providing us w/content, product, access or other forms of payment. 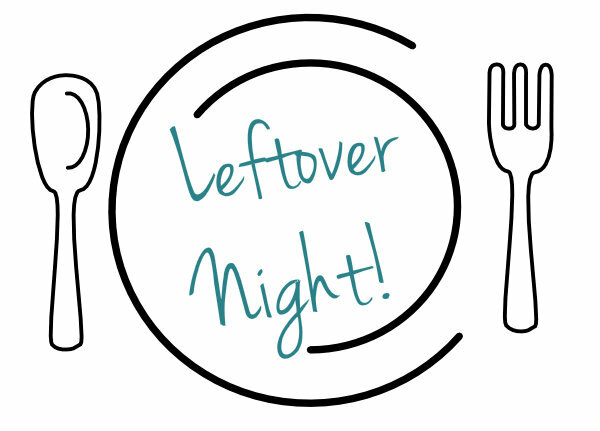 I enjoy cooking, but since we don't go out to dinner very often and rarely get takeout, I spend a lot of time in the kitchen. For that reason, I love when I find a great tip or shortcut that helps me get dinner to the table quickly. 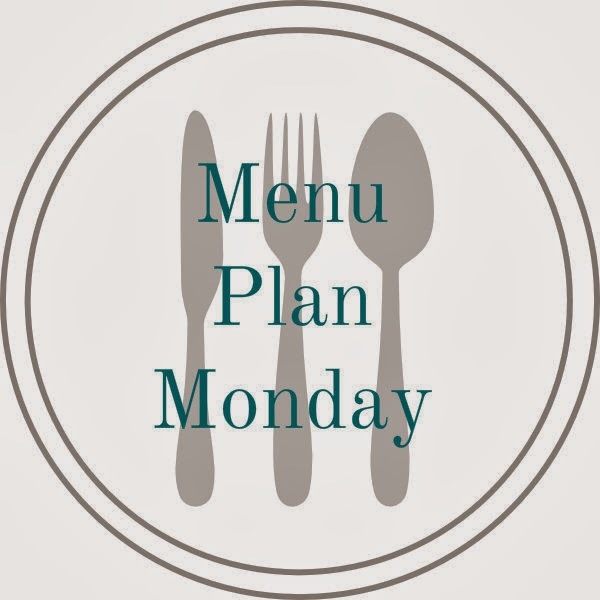 Prepping the veggies for all of my recipes early in the week or having chicken and ground beef pre-cooked in the freezer and measured out for specific recipes are both great time savers! 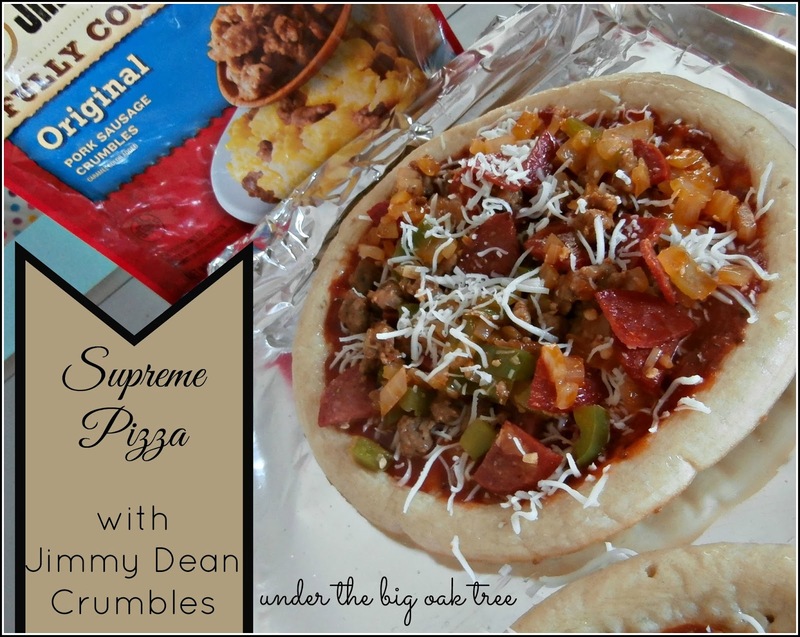 Recently, I was given the opportunity to try Jimmy Dean Crumbles. All of my previous experiences with pre-cooked meat from the supermarket never really went over too well, so I was pleasantly surprised that the texture and flavor of the fully cooked sausage crumbles were as if I had prepared them myself! 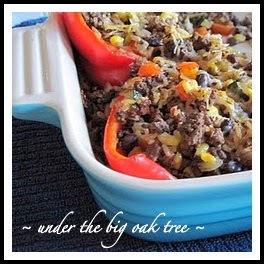 The taste and texture were perfect, just like using fresh sausage...without the mess of having to drain a greasy pan! From the two bags of crumbles that we tried, I was able to create several recipes that both Joe and I really enjoyed! Our store only had the Original Pork crumbles and Turkey crumbles and both were equally delicious and full of flavor. Though, I'd really like to get my hands on a package of the Hot & Spicy as we tend to use a lot of hot sausage when cooking with fresh sausage. For the recipe that I am sharing today, I used the Original Pork Sausage Crumbles. 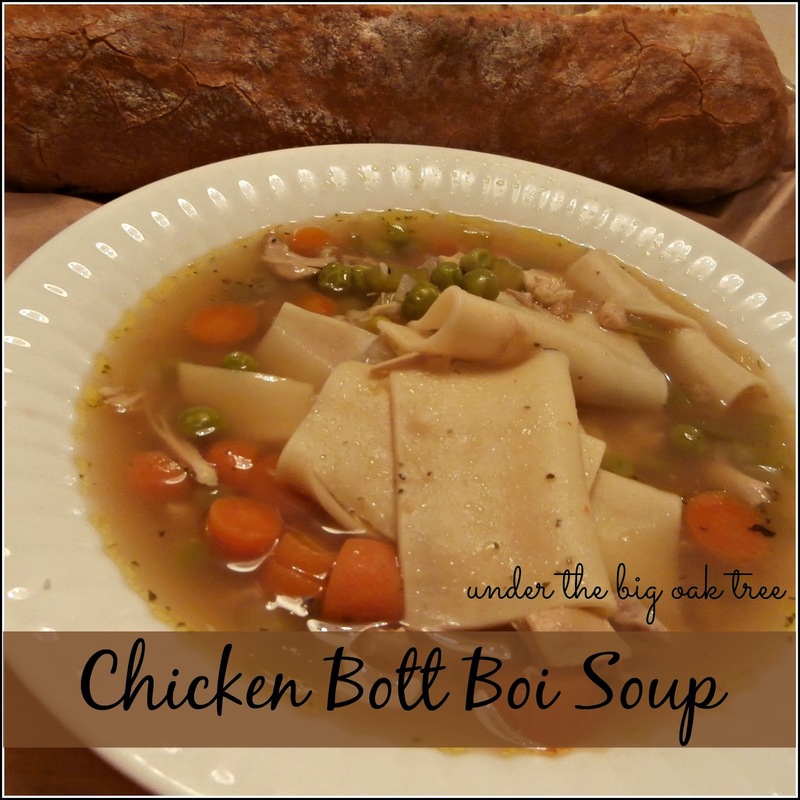 To see the full recipe, scroll down past the photos! This meal was so easy to prepare! 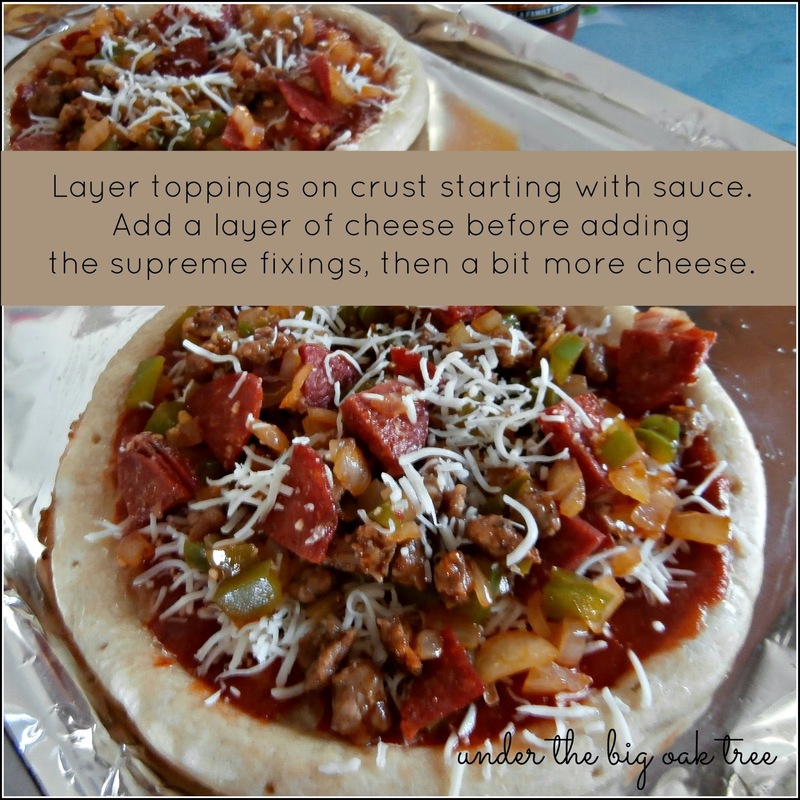 Just a 1/2 cup of each of the toppings can be chopped up fairly quickly! If you happen to chop your vegetables ahead of time at the beginning of the week, your prep time on the day of the meal can be cut down even more! Since my crusts only took about 7 minutes in the oven, I wanted to give my vegetables a head start in cooking. 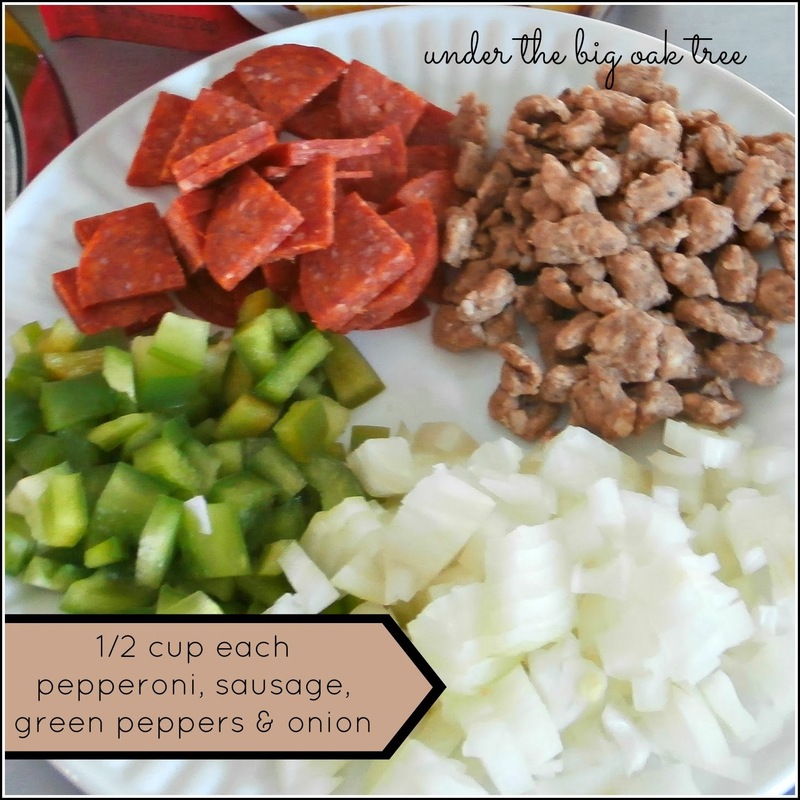 Any color bell pepper can be used, but I especially like the flavor combination of the green pepper with the sausage crumbles! 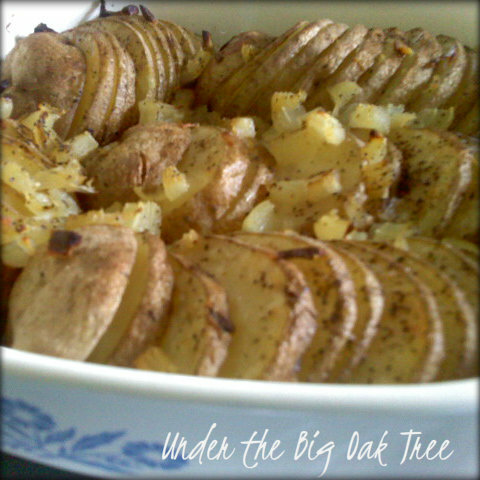 I loved how fragrant this became just after cooking on the stove for a couple of minutes! The house smelled just like sausage and peppers from the fair! I picked up an inexpensive package of two personal sized crusts, but if you have a favorite homemade or store bought crust, use whatever you like! Just be sure to prepare your crusts as instructed on the package. 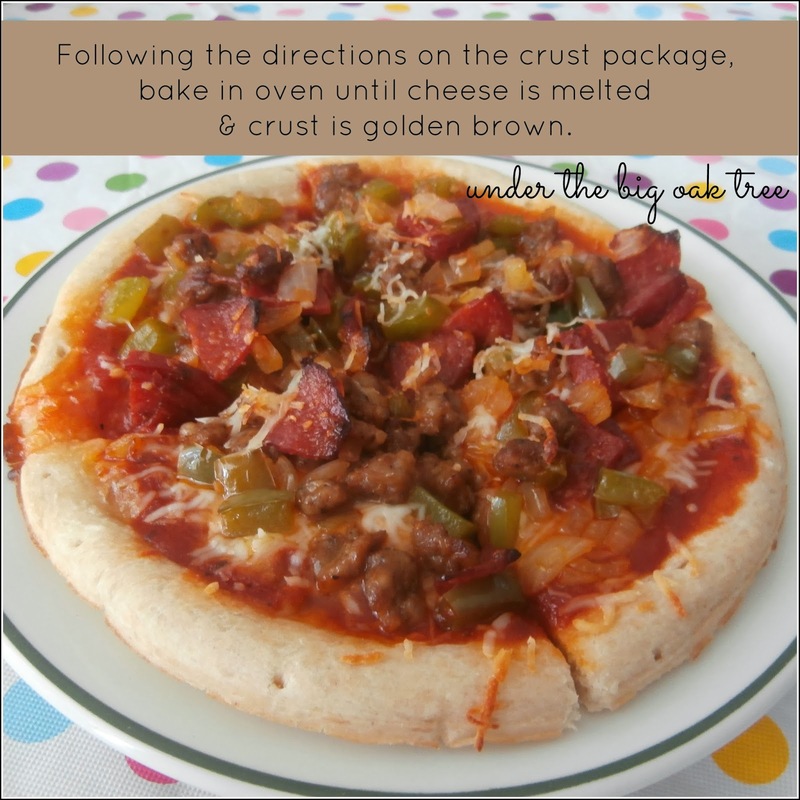 In my case, I brushed the crusts with a small amount of olive oil before layering my toppings! I baked according to the directions on the package. 7 minutes at 425 degrees. Be sure to check the cooking times on your package. This recipe calls for just 1/2 cup of the sausage crumbles. Each resealable package contains about five half-cup servings, so there was plenty more left for additional recipes that will share in separate posts. Don't worry, I'll provide the links here too, so they are easy to find! As promised, here is the easy-to-read version of the above recipe! Preheat oven and prepare crusts as directed on package, brush with oil if needed. Heat olive oil in small frying pan. Add the peppers and onions, allow to cook for just a minute or two. Stir in the garlic and cook for another 30 seconds to a minute, or until fragrant. Add the pepperoni and Jimmy Dean Sausage Crumbles and cook until heated through. Spread 1/4 cup of pizza sauce over each of the personal pizza crusts. Divide the pan of sausage, pepperoni and vegetables between the two crusts. Sprinkle with crushed red pepper flakes if using. Bake in the oven according to directions on pizza crust package. In my case, it was 7-10 minutes. This pizza was so delicious and pairs nicely with a simple crisp salad! We enjoyed it so much, we made it a couple of times already! So, to recap, Jimmy Dean Crumbles are full of flavor, have a great texture and offers both easy clean up and convenient packaging! 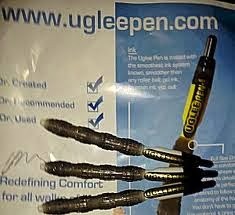 I say this product is a keeper! 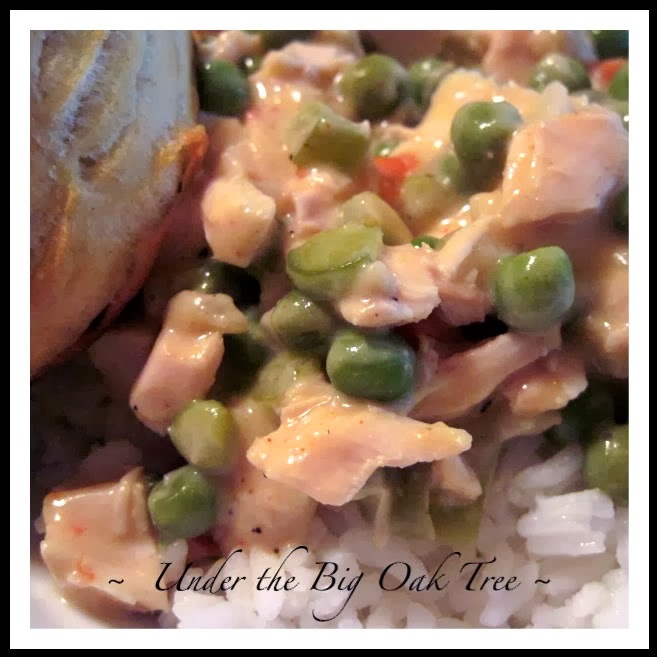 Along with the opportunity to try this product for this recipe and review, I am also being entered to win a lifetime of sausage! The blogger with the highest interaction via comments, likes and shares will win and will be able to share the prize with one lucky reader! Grace loves to paint! Although, she loves to keep her colors separate, she often forgets to rinse or switch brushes. This often results in some muddy looking jars of paint. I have a plastic paint palette that I picked up several years ago but the wells aren't deep enough for my little artist. So, I pour colors into other containers rather than letting her use straight from the jar. I usually use the small condiment containers that pickles or peppers come in when we get takeout. You know, the ones that are also great for Jell-o shots. I've even resorted to purchasing a big package of them since we don't get takeout all that often. For New Year's Eve, our friends brought over some frozen appetizers. 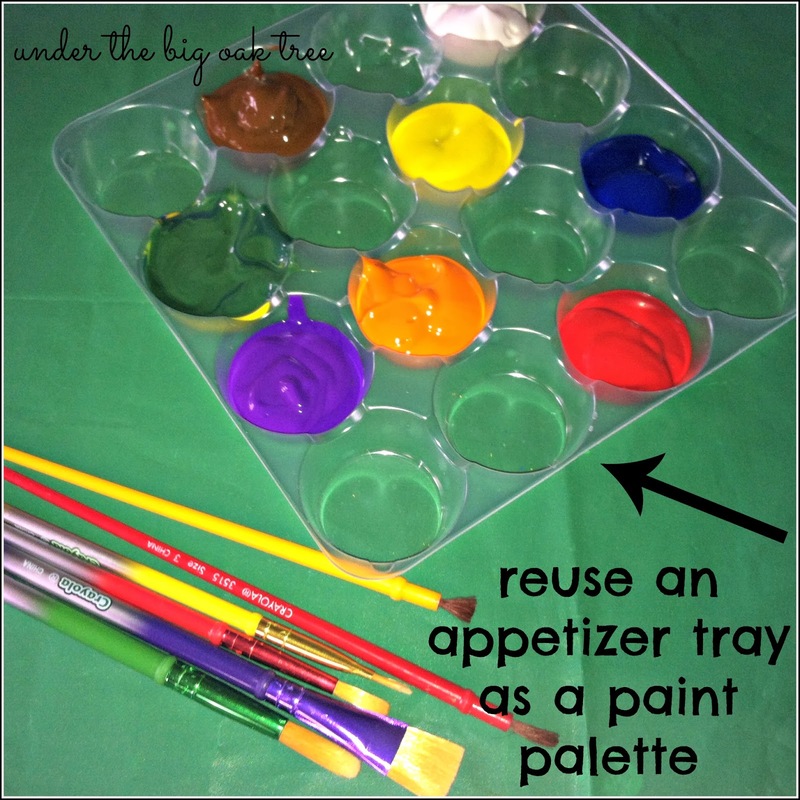 After popping them onto a baking tray and into the oven, I knew I wanted to reuse this plastic tray and set it aside for a snowy, arts and crafts day. Just as I suspected, this handy little tray with all the individual compartments holds the perfect amount of paint to keep Grace occupied for a while! This particular tray was rinsed out and used a couple of times before tossing into the recycling bin! In the past, Joe and I really only shopped for groceries at one store a week. Lately, we've realized that we can save more money by purchasing certain items at other stores. Ground beef is one of those items. The price always seems so high at our usual store. A few months ago, we discovered that we could pick up a family-pack sized package for $2.19 a lb at Wegman's. Since we don't get there that often, the bulk-sized package works great for us, especially if we pair their low, everyday price with a $5 off $25 purchase! Earlier in the week, Joe had an errand near Wegman's so he took the coupon and stopped to pick up a few things on his way home. Usually, I package the ground meat into 3/4 lb. portions right away, but this week was pretty hectic and I just kept putting it off. After the burgers I made for dinner that first night, I still had 5 lbs of meat to cook. My plan was to just brown it all and then divide into recipe sized portions for the freezer. Having pre-cooked ground beef really helps when you need something quick for dinner. I mentioned my plan to Joe and he requested meatloaf. Two meatloaves to be exact. 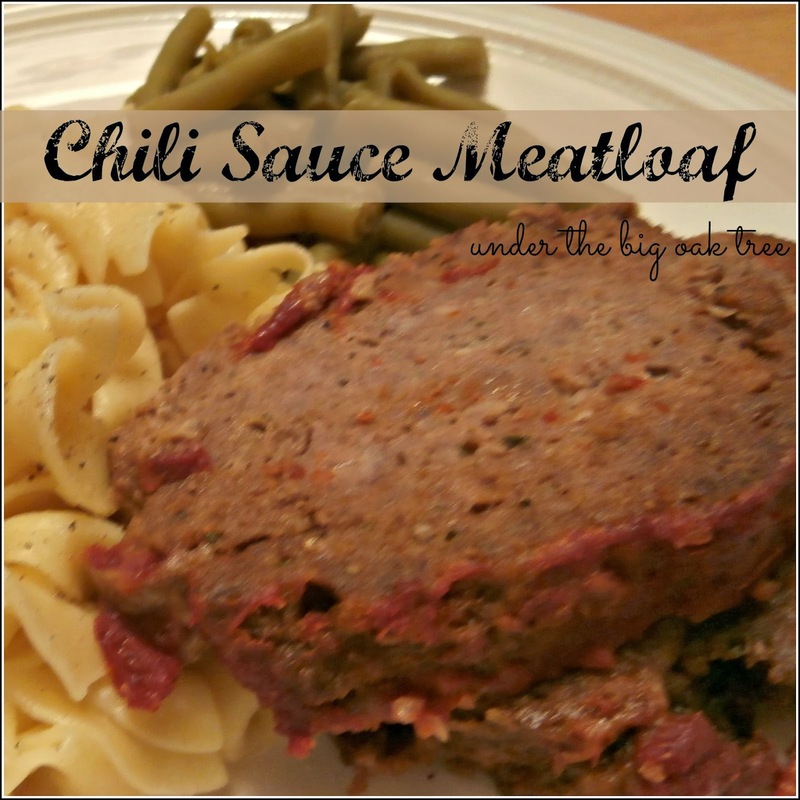 (I'm sharing the recipe for one of them today) Since he rarely makes dinner requests, I decided give in and make meatloaf. I just didn't want our usual meatloaf. I looked to my friends on Facebook for suggestions, but I was too impatient to get started to wait for responses so I checked my pantry for a packet of Onion Soup Mix. Just as I thought, I had one packet left from the box I bought over the holidays for dip. Following the directions on the box, I switched up a few things: milk in place of water, seasoned bread crumbs instead of plain and chili sauce instead of ketchup. I also sprinkled some brown sugar on top since I loved the onion-brown sugar combo when I made hobo packs a few weeks ago. And since my free form meatloaves always fall apart, I took Joe's suggestion and pressed the mixture into a glass loaf pan. The result? 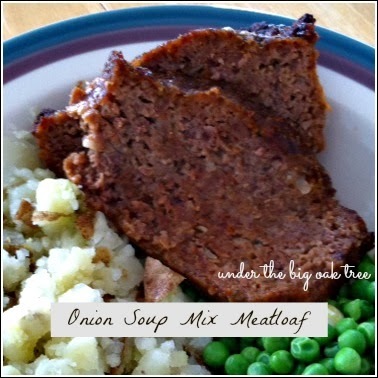 A wonderfully, flavorful meatloaf that didn't fall apart! In fact, the perfectly sliced leftovers made great sandwiches for lunch the next day! Combine all of the ingredients (except for the brown sugar) in a large bowl. Form into a loaf shape on a baking sheet or press into a loaf pan. Bake for 1 hour. Let stand for 10 minutes before serving. We haven't tried the second meatloaf yet, but I prepared that one slightly differently since I only had one packet of soup mix. Check back later in the week for that recipe! 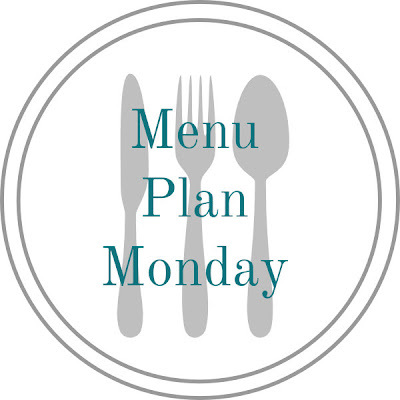 As I mentioned above, my friends did provide lots of suggestions on preparing their favorite meatloaf and in the future, I plan to give all of their tips a try!